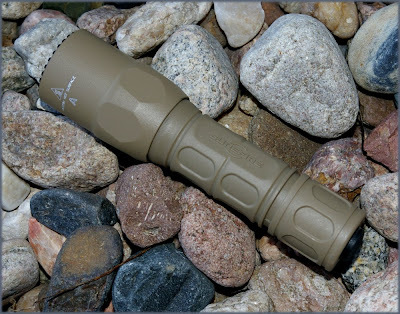 Surefire makes the statement that they “We didn’t reinvent the wheel, we reinvented the flashlight” and that they did in a way that has changed personal lighting and night fighting tactics like nothing else. Surefire has been the innovator and founded the history of tactical flashlights and developed and hold the patent on laser weapon sights. Today the company has expanded to produce laser sights, handheld, weapon, head and helmet mounting lighting, flash hiders, muzzle brakes, suppressors, weapon accessories, and even innovative hearing protection. Today Surefire’s new advanced polymer G2X-A-P caught my eye. 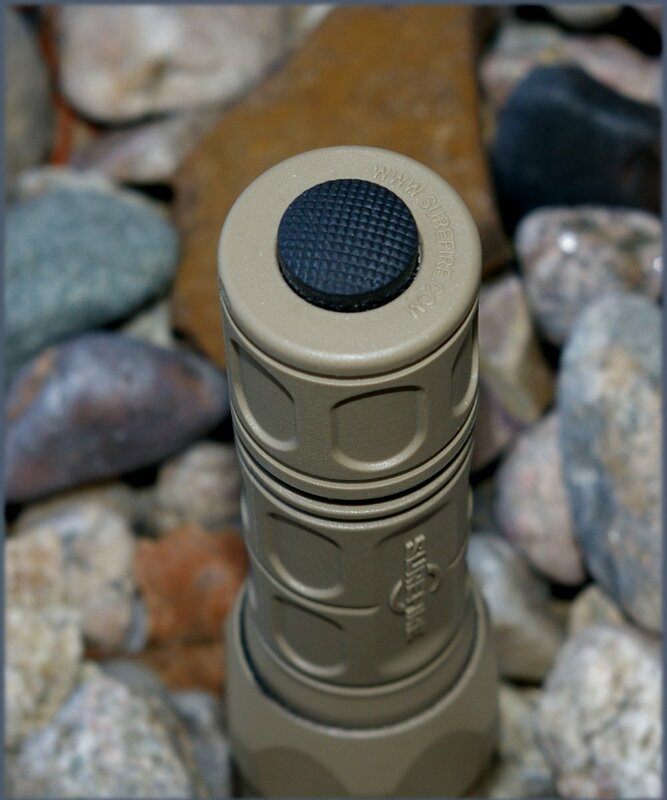 This is the polymer-body version of the 6PX Tactical and knocks about $20 off the price without sacrificing any functionality or durability. Like all Surefire products the G2X finish and fit is superb. As noted this polymer bodied flashlight is not 100% billet aluminum like other Surefire lights in the line up. The bezel is still anodized aluminum however the body is made from Nitrolon polymer which I actually like better than the aluminum because it does not get as hot in the sun. The polymer on the Surefire G2X just seems to feel cooler, softer, and better all while providing plenty of grip to me... kinda a Glock. The Surefire G2X was designed to up the output to 200 lumens to address the needs of tactical use and provide a huge amount of light in a small compact package. The G2X provides momentary end cap activation and constant on with the twist of the end cap a ¼ turn. The result is a really simply extremely bright high efficiency LED light that runs on two standard 123A lithium batteries which are included. The LED not only ups the efficiency and run-time, but is virtually immune for shock and failure. A polycarbonate micro-textured reflector produces a wider beam than other lights all while still delivering a very intense center spot light. Surefire also has this same light in the G2X Pro version which has my preferred click type tailcap and the Pro version also provides a lo-beam for those time you don’t need full power. The Surefire G2X includes two 123A lithium batteries, and is weatherproof sealed with an o-ring and gasket which survived my 1 hour soak and dunk test. The 200 lumen output from a pocket sized light is amazing. If I was alone at night lost in the woods, I would not feel under-illuminated with the G2X. As I have noted before everyone needs to have and carry a tactical flashlight. 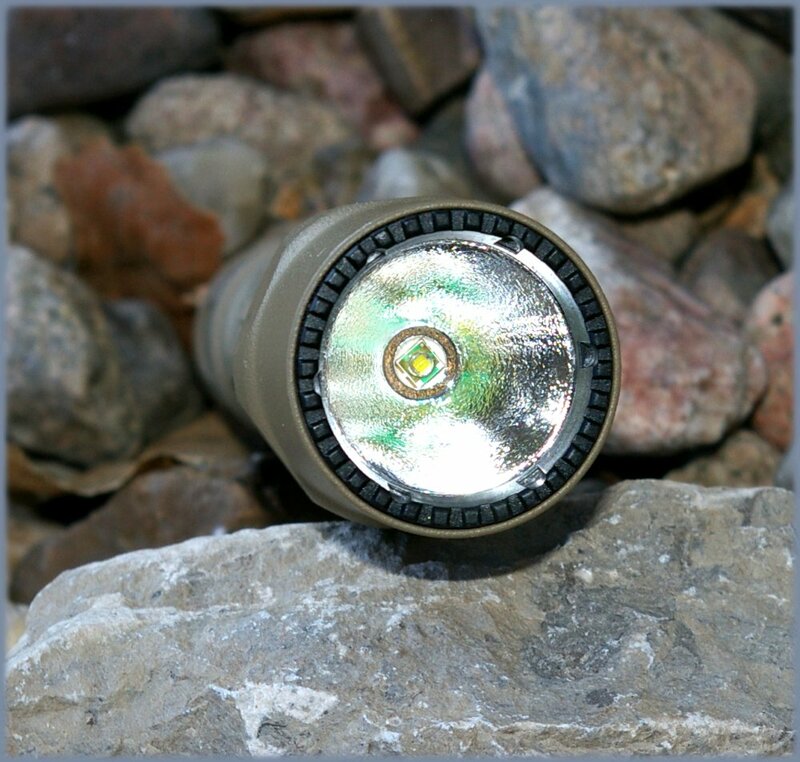 Not only are they handy but a non-lethal blinding 200 lumen light can be a heck of a deterrent to all manner of critter that gets a little too close. I am a fan of having the option to attach a lanyard which the Surefire lights do not offer as an option, however the trade off is a host of Surefire and aftermarket accessories which are compatible with this light which enhance the utility and versatility.. The Surefire G2X is another awesome product from Surefire that delivers on their history of innovation at a price we can all afford.